We are committed to providing an environment that is inclusive and welcoming to all patrons, endeavoring to have transparency with programs that may present specific challenges for participation. Our space at 937 Liberty Avenue is designed for wheelchair access and features all-gender restrooms. We also encourage you to identify any specific accommodations that would make your experience more enjoyable by contacting Fred Frances at 412.471.0999 or fred@bricolagepgh.org. ASL interpretation, audio description, Braille, and large print programs. Information on specific program accommodations can be found within the listings for our current season. Thanks to the Robert F. and Joan Marie Klein Fund of The Pittsburgh Foundation, we’re thrilled to add a menu of services to our check-in desk to make sure you know what we have to offer to help make your visit as comfortable as possible. The menu includes a list of items such as noise-reduction ear muffs, weighted lap pads, vests that translate sound into vibrations, fidgets, rollator walkers and more. You can request items in advance or at the door the same night of the performance. 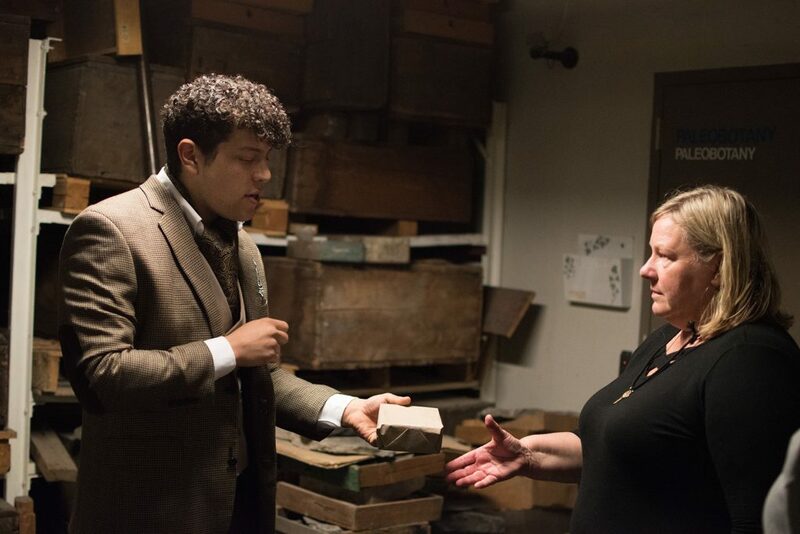 To read more about our access initiatives, check out this interview with No Proscenium. We’ve made big strides in accessibility in the past few years. We’ve added Braille programs, audio description, and ASL Interpretation to our shows. We’ve launched our Immersive Companions program for our large scale immersives that strives to make our journey-based experiences accessible for everyone. We’ve converted our male and female single-unit restrooms to all-gender restrooms and have been working to ensure our artists are more representative of the people of Pittsburgh. The list of initiatives we offer in an attempt to open our doors ever wider goes on, but no matter how many we try, there’s still one big problem for many of our potential attendees: our shows cost money, and money is tight. For those folks, we’re putting aside more than 500 tickets in 2019 that are absolutely, 100% free. No fees, no volunteer shifts, no way to tell who paid apart from who didn’t. Click here to learn more about how it all works, and get the scoop on our next Free for All dates in 2019. At Bricolage, our goal is to make our productions enjoyable to people of all abilities. While traditional theater can rely on standardized services like audio description or ASL interpretation for performances, immersive theater requires solutions that are hand-tailored to each show and individual. To preserve the heavily sensory-based and personalized nature of our immersive work, Bricolage began piloting a new kind of accommodation in 2015, officially launching our Immersive Companions program with the premiere of DODO in 2017. You can learn more about the history of the program by reading our press release or checking out this feature in American Theatre Magazine. The Immersive Companions program is offered to attendees who would be otherwise unable to fully experience one of our immersive productions, and is one of the first and most robust accessibility initiatives of its kind. Immersive Companions reach out to the patron in advance of the performance date to discuss their needs, and then accompany them on their journey through an immersive experience, providing assistance only as often as needed. For example, a patron who is visually impaired may be assigned an Immersive Companion who is trained in both sighted guide and audio description. The same participant may also experience changes to the production itself, such as the use of essential oils to emulate the calming effect of a section of the piece that is rooted in light design. If you’re thinking of attending one of Bricolage’s immersive productions and have any concerns at all – no matter how big or small – about your ability to fully enjoy the piece, please feel free to reach out to us. You can call or text 412.471.0999, email Fred at fred@bricolagepgh.org, or describe your concerns in the comments section when purchasing tickets. To apply to become an Immersive Companion or to learn more, call 412.471.0999 or email Fred at fred@bricolagepgh.org.